Breakfast and networking begins at 7:30 a.m., the simulcast starts at 8:30 a.m. and will wrap up at noon. 501 W. Hazel Dell Rd. 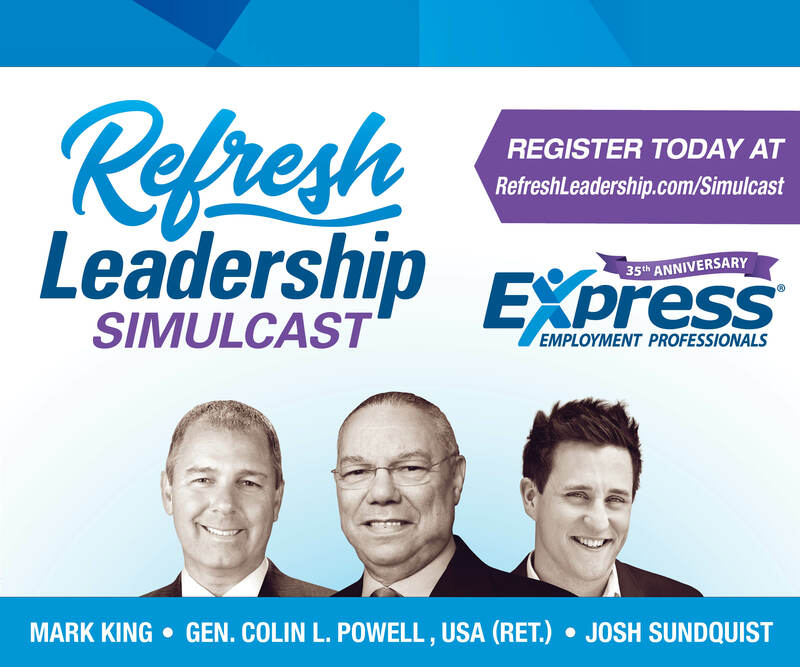 The Chamber is partnering with Express Employment Professionals to offer the 9th Annual Refresh Leadership Simulcast event. Additionals sponsors include Chick-fil-A White Oaks and Skinner, Copper and Ehmen Wealth Management. ​King will share how to inspire a workforce of creativity and confidence to create things consumers won’t believe are possible by coming to work with big dreams, vision, and energy.